Giving and receiving are frequent sensations a practitioner will experience being involved in Brazilian Jiu-jitsu. Employing the technique of giving, August 24th marked a monumental day for the Jiu-jitsu community in Southern California. Unifying together for a charitable rally, Grapplethon 2 unveiled the true power of the strong support system that exists in our community, through the event’s efforts in aiding cancer battling contender Frank Edge. Hosted at Dan Lukehart’s Brea Jiu-jitsu academy, the event brought together over 67 grapplers from various schools such as Atos JJ, Ribeiro Jiu-Jitsu and Gracie Barra, amongst other well established jiu-jitsu teams. With gathered proceeds aimed toward assisting Edge, Grapplethon 2 featured a three hour fun-filled extravaganza. This included nonstop training, raffle prizes and an insane 180 minute charity challenge. 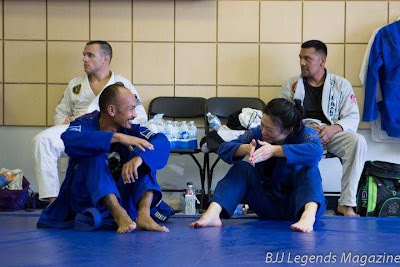 Most importantly, it exposed the unique camaraderie that exists in the Southern California BJJ community. The event’s humbling and friendly atmosphere could be felt once anyone walked into the room. In the midst of the great training, along with the participants’ selfless commitment and care for one Frank Edge, many Grapplethon-ers walked away with not only a memorable experience, but also an increase of growth in their own progression along their grappling journey through the various interactions they came across that day. “It was awesome training with other BJJ practitioners from other schools, getting ourselves better and knowing at the same time we are doing this for charity as well,” recalled University of Jiu-Jitsu purple belt Waseam Dannoui. With charity profits generating $2,745, it’s safe to say 'Grapplethon 2' was a remarkable success. 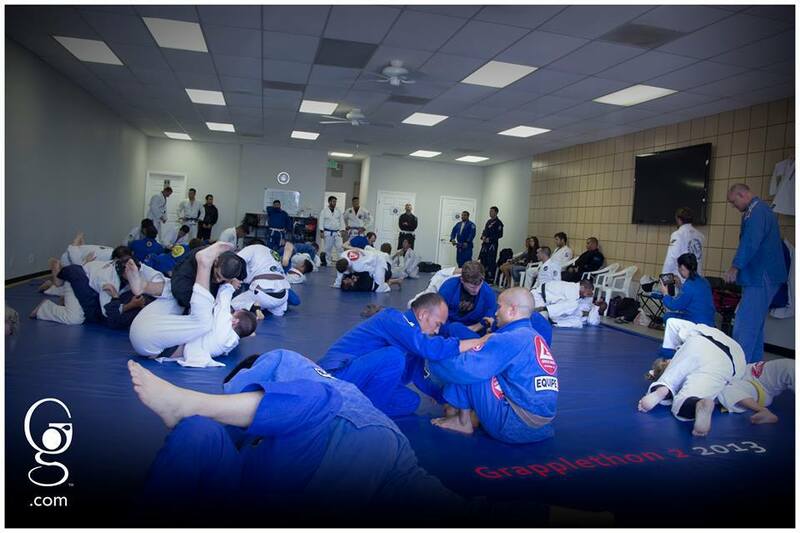 The dynamic presentation and atmosphere displayed on the mats at Brea Jiu-jitsu exhibited the characteristics of the kindness and unification amongst grapplers when responding to someone trapped in a dire situation. Looking onward, event organizer Monta Wiley looks to continue the Grapplethon charity tradition, which aspires to make a positive difference in many people lives. For more information on Frank Edge or donation inquires, visit Frank’s Fight Facebook Page and Frank’s Fight.